Straight teeth to get the smile you want. 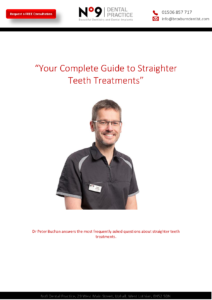 If you would love your teeth to be straighter orthodontic braces may be the answer for you. when you were younger, there is a simple and invisible answer. aligner system we have found. We now treat all of our adult orthodontic cases with Invisalign. better and are easier to keep clean and healthy. The treatment involves taking detailed impressions, which are sent to a special lab. Here a plan for treatment is accurately processed and a 3D computer image of the proposed changes is sent back to us. This will be reviewed by your dentist to assess its suitability. When he is happy you will be shown a digital smile preview of your end result on a large screen and can approve you are happy to go ahead. After this the aligners to move your teeth will be 3D printed and you will come back to have your first aligner fitted. You will wear this all day and night, except when eating. Aligners are changed by yourself weekly and we will see you regularly to check that you teeth are moving in step with your digital plan. special event few people will notice you are wearing the aligners and they can be removed for short periods of time. What if I lose my clear aligner? We will always encourage you to keep the previous aligner you were wearing and will provide a box for you to keep this in. If you lose your current aligner you can go back to your previous one and we can have a new one printed to replace the one you have lost. How do I keep my teeth clean during treatment? You can brush your teeth normally and also clean your aligners with a toothbrush in the same way. You will usually change to a fresh aligner each week and we will give you ongoing advice.